Updated: 7:15pm GMT - the event occurred Wednesday Dec. 13th. - Retraction and edit: at 6:30pm GMT we reported the news as 'Breaking', wrongly. Two American F-22 fighters were scrambled to intercept Russian Su-25 aircraft in the sky over Syria. Pilots of the US Air Force were allegedly 'forced to open a warning fire', according to the fake news site, CNN. The source to CNN said that Russian planes had left the agreed flight zone, which was previously created to avoid incidents, in the deconfliction talks between Lavrov and Kerry in 2015. According to the fake news report from CNN, after several violations of the line of demarcation, the American F-22 fired several warning shots, after which the Su-25 left the area. Framing the story back to reality, the Russian defense department confirmed the warning fire by American aircraft, but they stated the incident realistically - according to the Ministry's version, the F-22 simulated an air confrontation and prevented the Russian military reconnaissance aircraft from destroying a stronghold of ISIS terrorists, and disappeared after the appearance of the Su-35. This comes only two days after Russia announced that it would be pulling part of its ground forces from Syria, for reasons relating to information war and simulated, headline-driven, diplomacy. 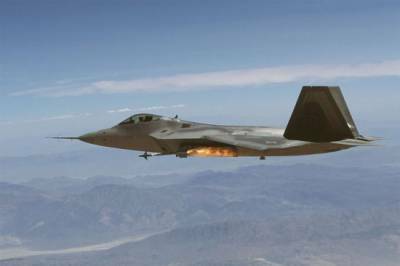 "An American F-22 fighter actively prevented the Russian pair of Su-25 attack aircraft from carrying out a combat mission to destroy the Daesh stronghold in the suburbs of the city of Mayadin in the airspace over the western bank of the Euphrates River on November 23. The F-22 aircraft fired off heat flares and released brake shields with permanent maneuvering, imitating an air battle,". The Russian Federation appears to be continuing to build its case that it is the United States Air Force, or rogue elements within the US or external to it, are acting de-facto as the airforce for ISIS. Both the Mossad and the CIA, for example are known to have special-ops planes painted as US planes - false flags - in violation of Geneva Accords. A goal of a possible false flag operation, either from within the US or external to it, would be to increase tensions, even outright 'hot war' hostilities, between the two nuclear superpowers. The Russian Federation is acting in Syria, legally, under international law - by invitation from the UN recognized and democratically elected, sovereign government in Syria. The US acts by virtue of its ability to act, contrary to international norms, in an attempt to reshape said norms. The outcome of deconfliction talks were agreed to by Lavrov and Kerry, which gives the US a highly limited area of activity, in which they claim to be attacking ISIS. Russia has publicly been building a case that the US Air-force has been acting not as a force against ISIS, but rather are dropping supplies to ISIS and acting as its air cover. The last two incidents seem to confirm the Russian position. Or as the Pentagon calls it "our airspace." Meanwhile, Russian MoD says US F-22s have already simulated attacks on Russian Su-24 bombers. Two weeks ago, I wondered if heightened Pentagon rhetoric about “unsafe Russian flying practices” in Syria was to prepare the media for a possible shoot-down of a Russian plane by the US. Now the US has moved on to openly threatening to do so. Recall that on November 24th CNN ran an article whereby, according to unnamed officials, poor US pilots were being “subjected to unsafe Russian flying practices” This followed a report a week earlier where an unidentified Pentagon officer spoke about “threatening” and “potentially threatening” Russian aircraft and their “increasingly alarming behavior” (which later in the article simply turned out to be Russians flying within weapons range of US assets on the ground). This is pure nonsense. This is not about any fear of Russian attack, but about turf. Firstly an Su-24 is ground attack jet, and would not be used to attack other warplanes. 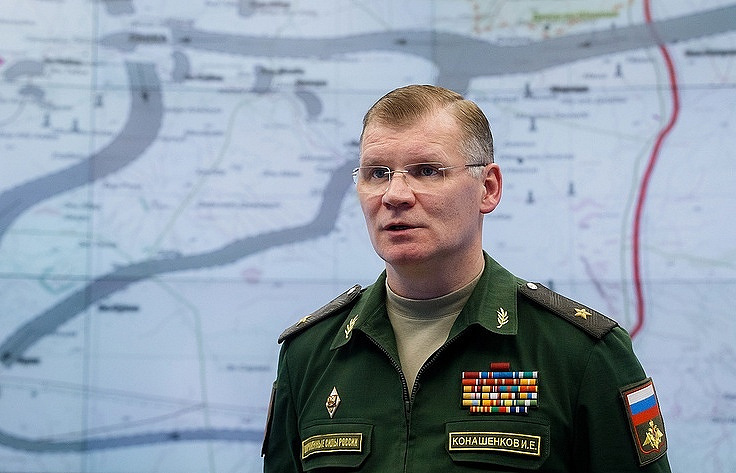 More importantly, the Russians revealed last week that they had already carried out over 600 combat sorties to target ISIS to the east of the river in support of the usually US-backed YPG Kurdish militias. 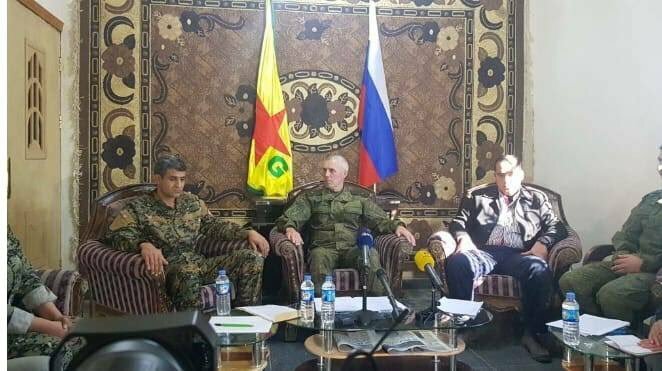 The YPG has, in turn, hailed the Russian air cover. The Americans know full well that Russians are not crossing the river to attack them or their proxies. On the contrary, they’re there to back the same faction the US is backing, but Pentagon wants a monopoly on that, and on the territory that comes with it. “On November 23, in the air above the western bank of the Euphrates River, a U.S. F-22 fighter hindered actively Russia’s two Sukhoi-24 attackers in fulfilling their combat tasks to destroy a command station of the Islamic State near Mayadin,” spokesman of the Russian Defense Ministry Igor Konashenkov said. 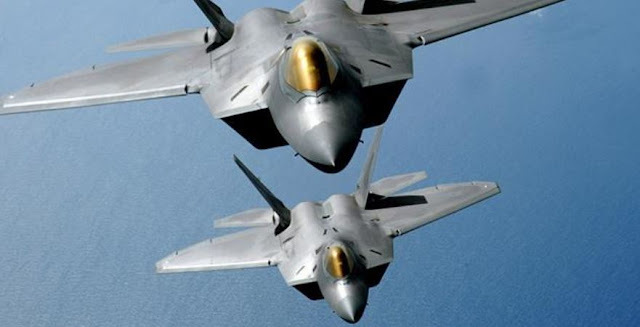 The F-22 Raptor “halted dangerous maneuvers and hurried away into Iraq’s air space” after the Russian Su-35S highly maneuverable aircraft appeared nearby, Konashenkov said. So who is actually doing the threatening here? The Russians who are crossing the river to help the US-backed YPG, or the US which simulates attacks on Russian aircraft? Other Russian planes have flown within striking distance or directly over allied ground forces for up to 30 minutes, escalating tensions and the risk of a shootdown, American officials said. “It’s become increasingly tough for our pilots to discern whether Russian pilots are deliberately testing or baiting us into reacting, or if these are just honest mistakes,” said Lt. Col. Damien Pickart, the command’s spokesman. The US Air Force has already shot down a Syrian Su-22 over central Syria, bombed the Syrian army on three separate occasions in southern Syria killing about a dozen Syrian soldiers, and bombed the Syrian army in the ISIS-encircled city of Deir Ezzor killing 100, supposedly by mistake, but actually most likely in a calculated move to sabotage the Lavrov-Kerry deal of September 2016 which envisaged the US and Russia working more closely together.